Registration is now open for the 2017 Clean Tech Competition, a global research and design challenge for 15-18 year old students. This year’s challenge is to “Create a Greener Future”. This educational opportunity challenges students to develop innovative, clean technology solutions to real-world issues. Solutions may take on aspects of buildings, materials, and efficiency, indoor environmental quality and “sick buildings”, among other available topics. Student participants will gain experience with focused research, critical thinking, and the scientific process – making it a great project based learning opportunity. There is no entry fee, and students can participate through school, extracurricular programs or, on their own. Total prizes awarded will be over $30,000 and the Finalist Event will be held on at Stony Brook University, New York! There is no limit to the number of Teams per organization – so spread the word! 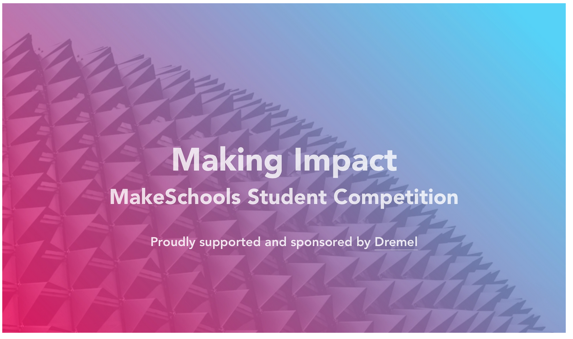 Each stage of the competition is designed to be a rewarding process, and more student participation means inspiring more young scientists to help build a better future for our planet. We want students from Lane Tech College Prep in this year’s competition this year and for years to come. The NCWIT Award for Aspirations in Computing (AiC) honors high school women who are active and interested in computing and technology, and encourages them to pursue their passions. The multi-tiered structure includes recognition at the national and local levels, serving all 50 States, the District of Columbia, Puerto Rico, the U.S. Virgin Islands, Guam, and all U.S. overseas military bases. The NCWIT Award for AiC is sponsored by Apple, Bank of America, Microsoft, Motorola Solutions Foundation, and Symantec. Award for AiC recipients are chosen for their demonstrated interest and achievements in computing, proven leadership ability, academic performance, and plans for post‑secondary education. Each local Affiliate Award program taps into the powerful network of NCWIT Alliance Members: teams from academia, non-profit organizations, startups, and corporations come together to build a community of support for young women passionate about computing. Applications for the 2017 Award for Aspirations in Computing are now open. She attends a high school in the U.S. or is a U.S. citizen attending a high school in Puerto Rico, Guam, the U.S. Virgin Islands, or on a U.S. military base. She is not an NCWIT employee and has no immediate family relationship with employees, extended staff, contractors or board members of NCWIT (including spouses, siblings, children, grandchildren and persons residing in the same household). Applicants may reapply each year, but can only receive the National Award once; Affiliate Award programs allow repeat recipients at their own discretion. Each Affiliate Award winner receives recognition at an Award event, an engraved award for both her and her school, scholarship and internship opportunities, access to a peer network of technical young women in the NCWIT Aspirations in Computing Community (sponsored by Bloomberg), and may receive various other prizes — computing resources, gadgets, sponsor-branded swag, and more. Each National Award winner receives various prizes, cash, and a trip to Bank of America headquarters on March 3-5, 2017 for a celebration and networking with Bank of America employees. Any prize that is classified as taxable income must be reported to the IRS. Taxes, where applicable, are the responsibility of the award winner. To apply, high school women must first register online. Click here to begin registration. Then, students can apply online beginning September 1, 2016 and no later than 11:59 p.m. EST on November 7, 2016. You may preview the application in English before you get started. You may also want to review the application how-to guide. Parents can review the approval how-to guide as well. For frequently asked questions about applying, approvals, and endorsements, please visit our FAQ page. Winners of the National Award are required to submit additional paperwork, including a notarized travel waiver and tax ID information. Failure by National Award recipients and/or her parent(s) or guardian(s) to return required paperwork, book travel within the allotted time, or attend the Bank of America celebration may result in forfeiture of all awards hereunder. To the extent required by law, Bank of America will report the value of the gift/reward/travel expenses to the IRS on Form 1099. NCWIT may require additional hard-copy, notarized paperwork, at its discretion. Note: Any Lane Tech CS teacher will gladly endorse and / or help you with your application. We will also offer at least one session to answer questions about the application. We’re proud to partner with the Breakthrough Junior Challenge video contest again this year. Your student could win a $250,000 college scholarship! To enter, your student should create a short video explaining a challenging concept in physics, mathematics, or the life sciences in an engaging, illuminating, and creative way. Good luck, and we can’t wait to see your student’s video! Who is eligible to apply for the Innovation in Education Scholarship? How much is the Innovation in Education Scholarship worth? The Innovation in Education Scholarship is worth $500! When is the Innovation in Education Scholarship application due? The post Innovation in Education Scholarship appeared first onScholarships360.